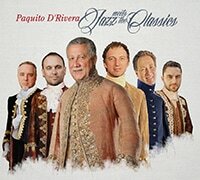 On November 19, 2015 at the 16th Annual Latin GRAMMY® Awards, Paquito D’Rivera’s Sextet album Jazz Meets the Classics won the Best Latin Jazz Album in category #31. 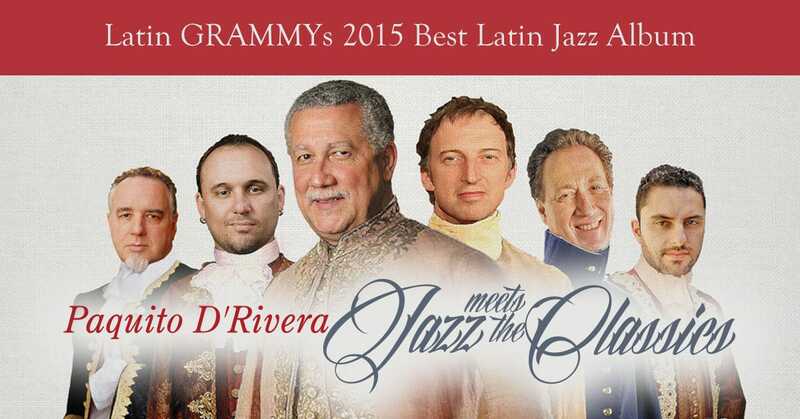 This is Paquito D’Rivera’s fourteenth GRAMMY. 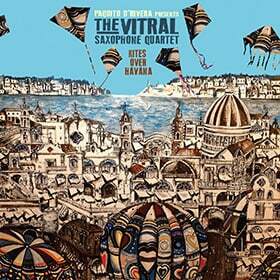 Of those, this is the seventh GRAMMY awarded in the category of “Best Latin Jazz Album” from the Latin GRAMMY and GRAMMY Awards. Pepe Rivero, special guest pianist. Read more about Jazz Meets the Classics. The 16th Annual Latin GRAMMY® Awards was broadcasted live on Univision Network and the Latin GRAMMY website. Jazz Meets the Classics is available on iTunes. Maestro Paquito, mi gracia al escuchar los danzones y música Cubana folclórica de su instrumento. Ansioso de escuchar su nuevo trabajo.